Request an appointment | Have a Dental Emergency? Dental X-rays are very safe and expose your child to a minimal amount of radiation. Our office uses digital x-rays, also known as digital radiographs, which give 70% less radiation exposure than conventional x-rays and are available to view instantly. There is no standard age as to when a child should receive dental x-rays. 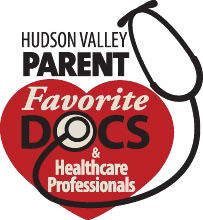 The need varies on the child’s development, dental health, cavity risk, home care, and diet. The American Academy of Pediatric Dentistry recommends x-rays every six months for high risk children. Other children may need x-rays less frequently. In order to maintain happy and healthy smiles, we recommend that all of our patients get cleanings every six months. For some children who may be at higher risk for decay or gingivitis (gum inflammation), we may recommend a cleaning every three months. These cleanings remove the buildup of plaque, tarter, and stain missed during normal brushing. More importantly, we proudly use regular cleanings as opportunities to talk to children on their own level about the importance of a good diet and the proper brushing technique for their age and development. Fluoride is a natural element found in water, food, toothpaste, mouth rinse, and other professional products. 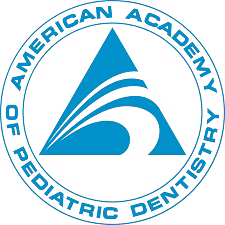 The American Academy of Pediatric Dentistry (AAPD), the American Dental Association (ADA), the American Academy of Pediatrics (AAP), and many more professional groups affirm that fluoride is safe and effective in reducing cavities and reversing the early decay process (enamel demineralization). Fluoride is effective both by systemic administration, via an oral supplement, and topical administration, via a paste, gel or varnish. At your child’s visit we will assess his or her decay risk and fluoride status before reviewing our recommendations specific to your child. Fluoride treatments vary with each and every patient. Applications may be recommended every three, six, or twelve months depending on the child’s risk for tooth decay. Our office believes that fluoride is an essential ingredient in the prevention of tooth decay. However, we respect the choices each family makes regarding the use of fluoride and will work with you and your family to craft your child’s smile according to your wishes. Dental sealants are thin, resin based coatings applied to the teeth to protect the grooves from decay. The grooves of our teeth are so deep that not even the base of a toothbrush bristle can reach it! Even children with super brushing skills cannot prevent decay at the base of their grooves. Putting on sealants is quick and painless. It’s like painting your face or your nails! We recommend their application on primary teeth when a child is at high risk for tooth decay and, most definitely, on permanent teeth once the six year molars erupt, or from age 6 and above. Our office is committed to using BPA-free sealants to make sure we’re providing the safest care for your child! We can help you and your child overcome bad habits in a positive way using a variety of techniques. Ask us how we can help. Taking part in sports activities can be healthy and productive for children. Mouthguards help to protect the teeth, lips, tongue, face, and jaws from injury during such activities. Contact sports such as soccer, football, and karate are higher risk. However, injuries can occur during any type of athletic event, including non-contact sports like skating and gymnastics. Mouthguards should be part of your child’s athletic equipment starting at an early age. The best mouthguards are custom made specifically for your child’s mouth. Custom made guards provide the best fit, protection, and comfort. Talk to us about having a custom mouthguard made especially for your child. Web design by MSM DesignZ , Inc.